Hahnemann was trained as a physician in Germany and Austria in the late 1700s, but he abandoned his practice because he thought many of the medical practices of his day (like bloodletting) did not actually help people:“My sense of duty would not easily allow me to treat the unknown pathological state of my suffering brethren with these unknown medicines. The thought of becoming in this way a murderer or malefactor towards the life of my fellow human beings was most terrible to me, so terrible and disturbing that I wholly gave up my practice in the first years of my married life and occupied myself solely with chemistry and writing” [“Hahnemann Biography” retrieved 12/27/17 via Wikipedia]. After leaving medical practice, he dedicated himself to medical research, observing the effects of various substances on healthy people. Eventually, he arrived at the principle at the basis of modern homeopathy known as “like cures like,” or in his words, “that which can produce a set of symptoms in a healthy individual, can treat a sick individual who is manifesting a similar set of symptoms” [Gumpert, Martin (1945) Hahnemann: The Adventurous Career of a Medical Rebel, New York: Fischer, p. 130 via Wikipedia]. Since one may know a disease only by its symptoms, when there is no obvious exciting or sustaining cause to be removed, it is evident that only the symptoms, together with any possible miasm and additional circumstances must guide the choice of the appropriate, curative medicine. So it is the totality of symptoms, the outer image expressing the inner essence of the disease, i.e., of the disturbed vital force, that must be the main, even the only, means by which the disease allows us to find the necessary remedy, the only that can decide the appropriate choice. Briefly, in every individual case of disease, the totally of the symptoms must be the physicians’ principal concern, the only object of his attention, the only thing to be removed by his intervention in order to cure, i.e., to transform the disease into health. Lori was an avid student of Hahnemann. Her classes here at the Sacred Stream were called, “In the Footsteps of Hahnemann.” We all learned to deepen our understandings of these teachings from Lori. She was so dedicated to the life force and was fearless in her defense of it. I had the good fortune to receive many impromptu teachings from her when we would confer about her choice of remedies for specific cases I sent her. Here is one of those teachings on working with Ignatia amara. Regarding potency, it is a judgment call (and experience call). If someone is very sick with pneumonia, for example, and they are weak, lying in bed and the vital force is getting weak and losing the good fight, you go for low potency. If someone is on Western Drugs, you are not seeing the true vital energy state and they are not giving you accurate symptoms, go low. If they use a lot of creams on skin rashes that suppress the energy, often they have allergies, respiratory problems, the weakness has gone to the lungs and everywhere else, go low. If they have had organs removed from surgery, low. It they are young healthy and vigorous at the beginning of an acute, go high. Death. Shock. Major new grief, 200c. Energetic potency doesn’t necessarily work faster. It is about the relationship between the person’s vital energy and the remedy. How they work together. We can go higher with people who have done very little Western medicine and whose vital energy is strong. With Ignatia, the constitution state is bitter, hardened, negative. Closed down. The acute Ignatia state is open, alternating moods, hysterical. There is a big difference here. Lori always carried 3 remedies in her purse at all times just in case she encountered an event where it was needed. Those remedies were Arnica (for spills and shock), Ignatia (for grief), and Aconite for fear all at the 30c potency. She often offered Arnica to strangers she encountered on the street who had taken a spill or crashed their bike. For those of us lucky enough to have received Lori’s teachings and masterful care, she left us her legacy—a lifetime of knowledge of both allopathic and naturopathic health care and the permission to share this knowledge and to assist others with it in those small but meaningful ways, just like she did. 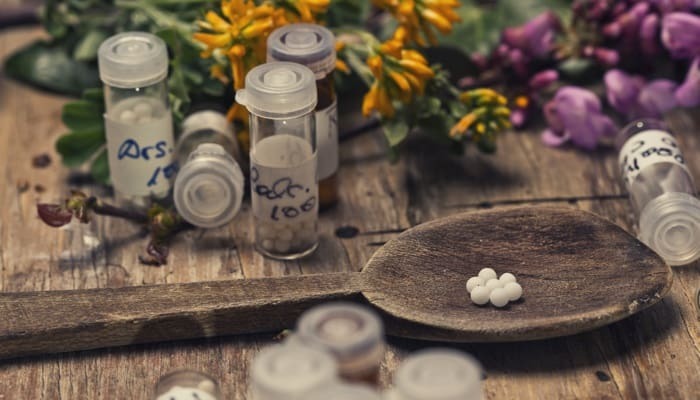 Editors’ Note: Corey Weinstein, one of the Bay Area’s most preeminent homeopaths, and a longtime friend and colleague of Lori’s, has agreed to offer a class on homeopathic home remedies and approaches to healing here at the Sacred Stream and as a distance learning course in February 2018.